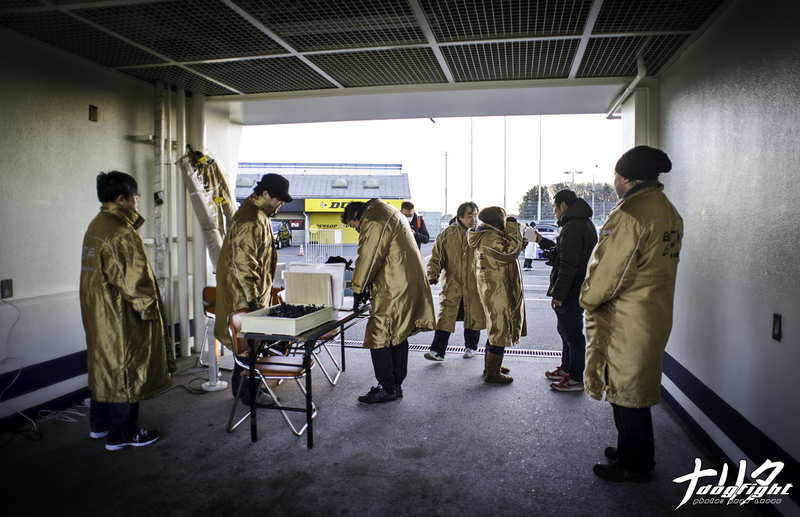 The automatic doors opened and a rush of chilled winter air, mixed with the morning’s new sunlight, hit my face as I reluctantly left the warm comfort of the conbini. Surprised, as if for some reason I had forgotten about the cold already, I fumbled to pull my neck warmer up with my hands full of coffee and various pastries. Leaning up against the passenger side of the BMW, my warm breath visibly creating a fog around my head, I waited for Sekinei to exit the 711 to unlock the car and rescue me from the cold. 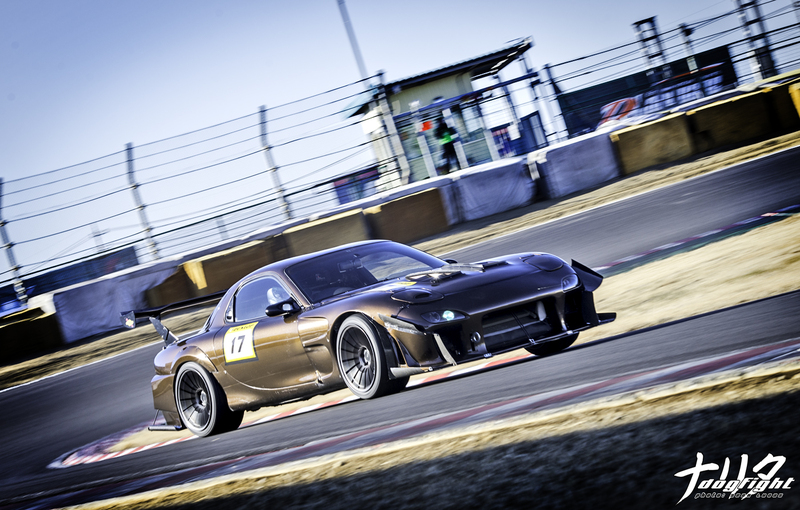 It was 5am on a Monday morning, I had landed in Japan 12 hours ago, and with just 4 hours of sleep to my credit, we were off – headed to the countryside of Tsukuba where we would rendezvous with Japan’s fastest privateers as they prepare to take on the first round of Battle Evome. There’s always something nice about sleepily escaping the hectic city under the cover of early morning, wakened only by the early intake of caffeine and anticipation of the day’s events. As usual, the drive to TC2000 is an uneventful one, a routine drive interrupted only as the proximity to Tsukuba decreases. A few kilometers off the expressway typically reveals a scattered handful of flatbeds carrying the machines that will be propelled around TC2000 later in the morning. We’re so used to seeing them on circuit that it’s always aesthetically stimulating to see these cars against the backdrop of Japan’s countryside; very picturesque in my opinion. After a quick stop for a bite to eat, we finish off the drive to the circuit quickly, the car filled with excited conversation of what possibilities the morning will hold. Every Evome event holds a unique surprise to me. Whether it be a new entrant, a combination of cars I haven’t seen before, upgrades to cars of the veterans, different track conditions, new photography techniques to try, the warm morning sun on my face as it rises over the back straight, glistening on the backs of the cars in the paddock. Whatever it be, it seems as if I can recall it as if I was still there…unfortunately, the reality is that I couldn’t be further away (technically, geographically speaking I suppose I could). As I type this I’m actually on an airplane headed to Omaha, Nebraska for work; where the only similar thing to Japan is the outside temperature (much colder actually). I shouldn’t complain though – come the end of the week I’ll be flying back across the Pacific to attend HKS Premium Day at Fuji Speedway. An event I had the privilege to cover last year, and will again this year. 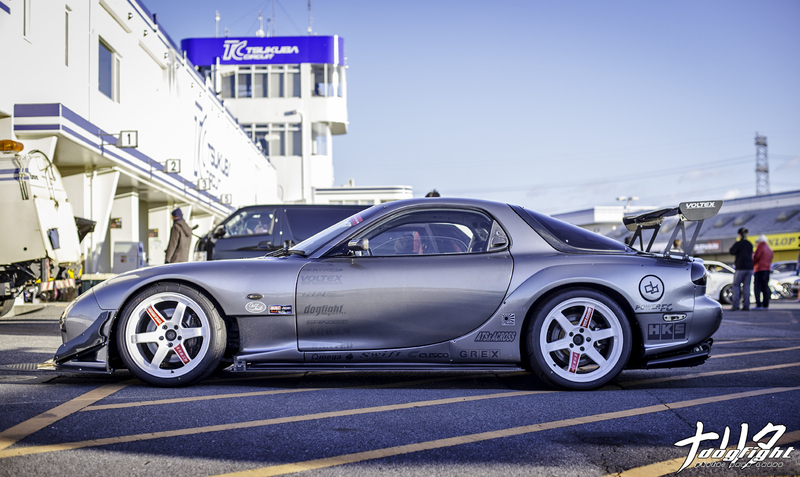 While similar in sport to Evome, HKS Day focuses on the major players in the industry. While the cars have a little different aura about them, I’d be lying if I didn’t say I preferred the uniqueness and somewhat abused feel to the contenders in Evome. 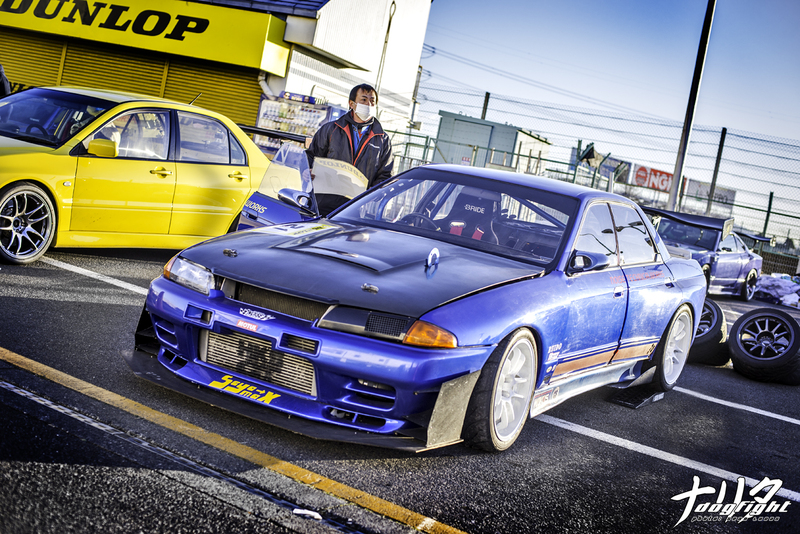 Take Kubo’s EG6 for example. Just days earlier he had gone off track and destroyed the front end of the car. A regretful event that happens all too often in the sport. However, instead of calling it a day and retiring the car until it could be repaired properly, Kubo, along with Tora-san, headed back to Garage Work to swap the front end of Tora’s EG onto Kubo’s; creating a somewhat ‘Frankenstein’ EG6. The look? Probably not so desirable (I brought it up to Iwata actually and he agreed with me haha). The performance? 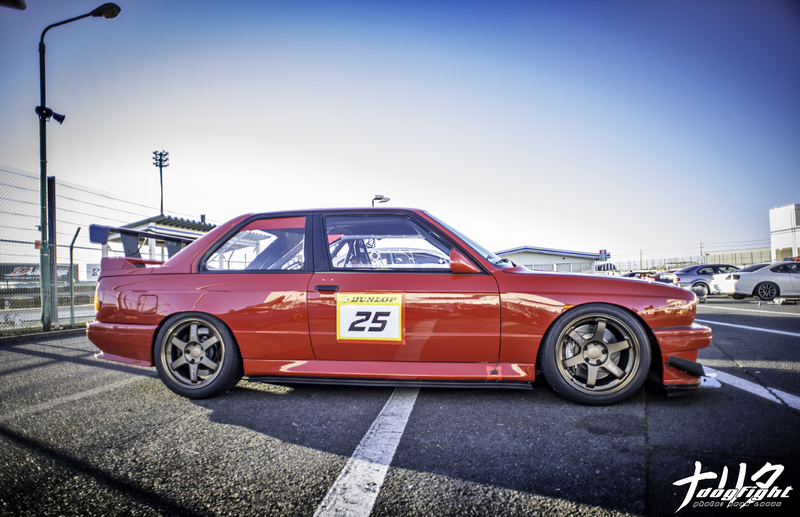 .018 seconds shy of breaking into the 59 second mark on Direzza ZII’s in the radial class. This is the exact reason I hold this group in such high regard. The other contenders are no different. 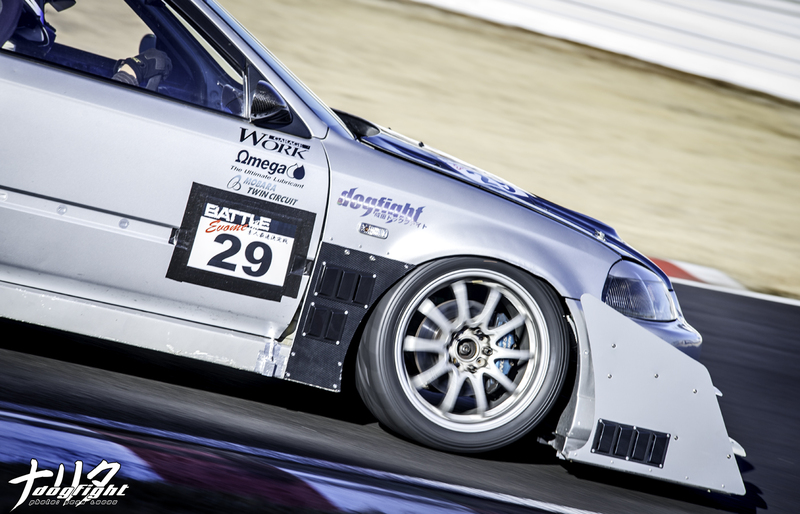 For 2015, the organizers of Evome have teamed up with the Grooving events; a small series of attack events that are geared towards more streetable cars, or perhaps people who are just getting into the sport. 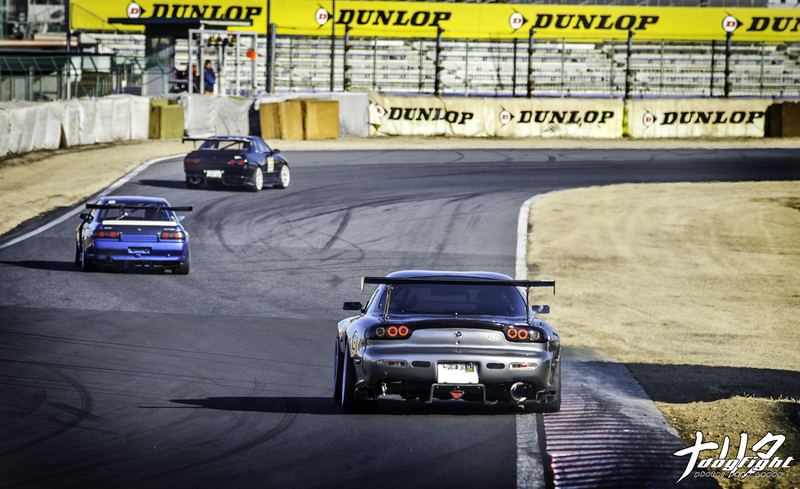 With this combination of competitors, you’re gifted with a large variety of cars and personalities behind them. The first round of Evome this year hosted 50 entrants and provided a morning full of action. While they all have their own mediums, the drivers all compete with one similar goal in mind; to be as fast as they can. 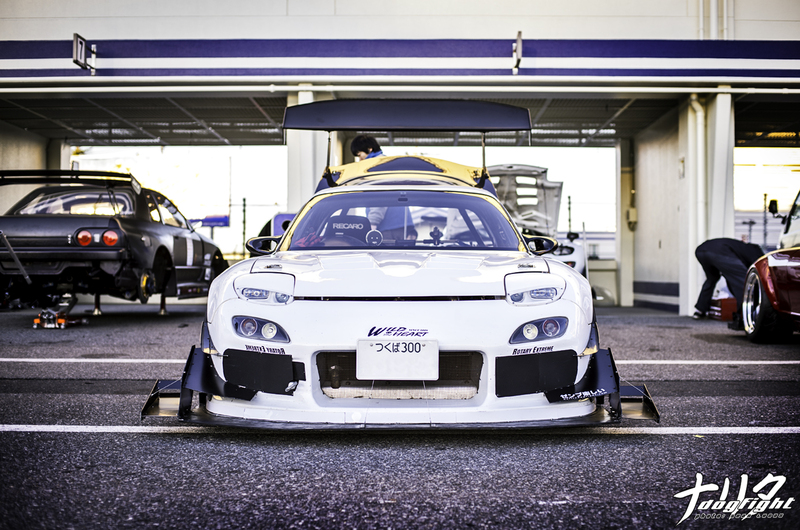 Surely you’ve heard me speak of it before in previous articles, but just to reiterate – this is why Evome appeals to me, and this is why I’ve devoted a large part of my life to covering the sport of time attack in Japan. There’s a simple, very minimalistic side to the sport that I can’t get enough of. A minimalism that pairs well with the rest of my life and I think, for me anyway, it creates this vastly hidden aspect of the sport I relate to on a personal level. Arriving very early, I feel part to the hustle of the organizers preparing for the event. There’s not a moment to waste in preparation, and these individuals know all too well. This year I’m going to be experiencing Battle Evome from a slightly different perspective. Not in terms of content distribution, but from my point of view personally. 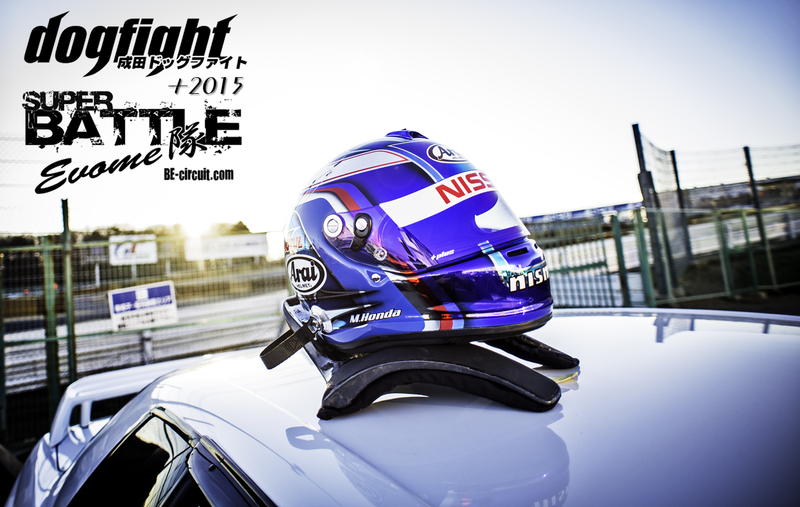 2015 will be the first year of Evome teaming up with us, NDF, as the official media outlet of the series. Seki and I will be appearing in embarrassing interview videos where initially I forget that I’m supposed to be talking in English, you’ll hear my silly voice-overs in some of their videos, and I’ll be interviewing some of the drivers as well, and providing my insight on the sport and how it appeals to a certain audience – I’ll be sure to ask awesome, totally unrelated questions of course. All of this though, will add up to a better overall look at the event, and if we’re successful, it will be very entertaining. So, let’s take the plunge and check out what this year has to offer. 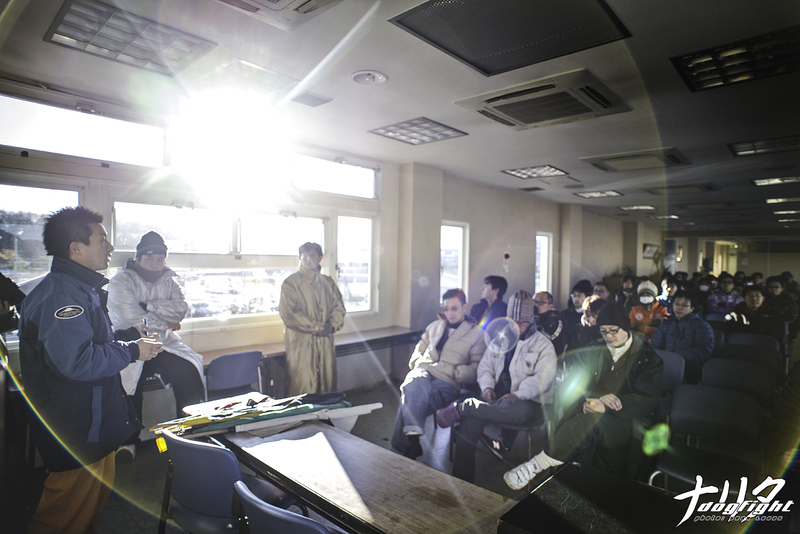 The facility above Tsukuba houses the break room and area to hold drivers meetings. This morning was no different in how the meeting was held, with each driver going over course rules and reviewing flag meanings with a staff member of the circuit. I know all too well from personal experience that half of the drivers probably weren’t paying attention, as they’ve done this dozens of times. Safety first though! 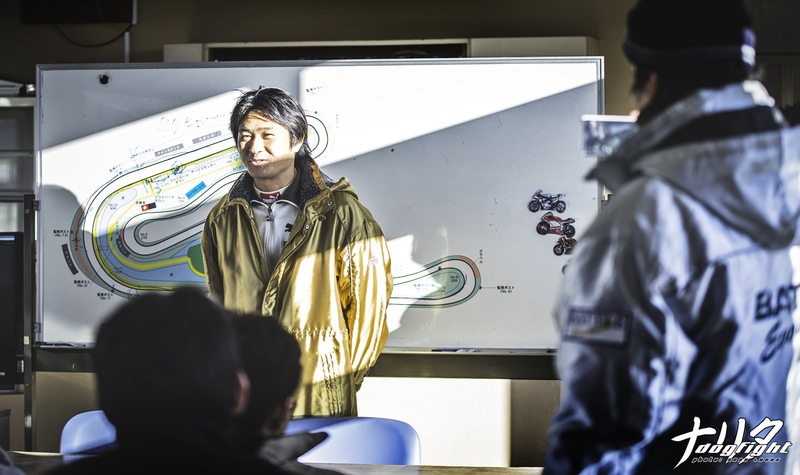 At the end of the meeting, Under Suzuki had a few motivational words for the drivers, as well as a couple tips. While he wasn’t there to drive the S15, I thought it was neat he still came out to support the event. Outside in the paddock area, the drivers were abuzz with activity. Most preparing the cars for the first out, some entertaining the photographer haha – some of the Garage Work family having some fun before the radial class went out. Iwata and KT – two great friends of mine, and a huge reason as to why I fly to Japan for a single day to cover these events. While the cars are usually the main focus for most, we have to keep in mind there would be no cars without the people behind them. Like Mr. Kigoto for example. 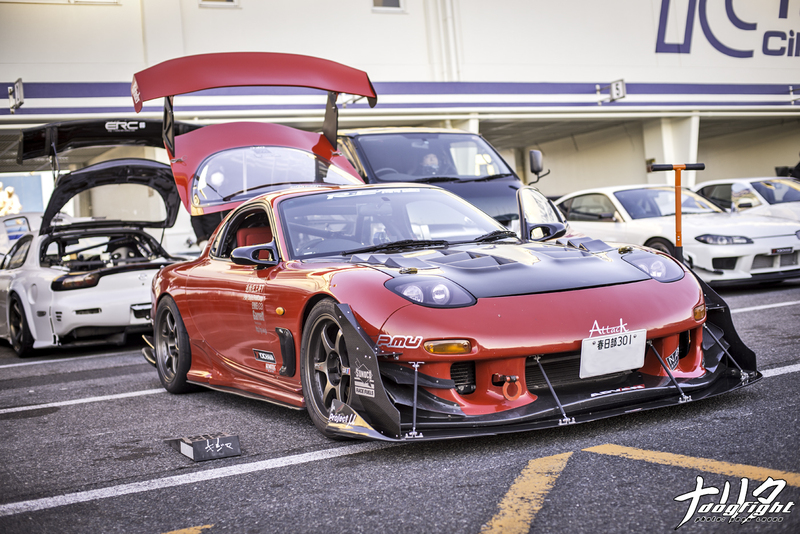 Seen here preparing his FD for the morning battle. He ended up getting extremely close the the 59 second mark with a 1’00.007 – just fractions of a second away; on radials at that! 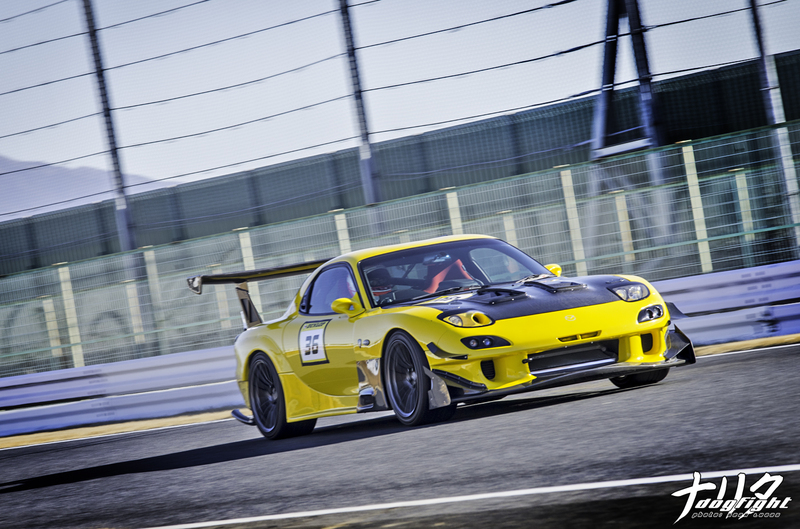 Then you have the other side of the spectrum with cars like the Wacky Mate BNR32, driven by Masa-san. A car so incredibly quick, that it lapped TC2000 in just 55.765 seconds at an average speed of 132.23; the fastest of the day by far. No matter how many times I see it, this car never ceases to amaze me. 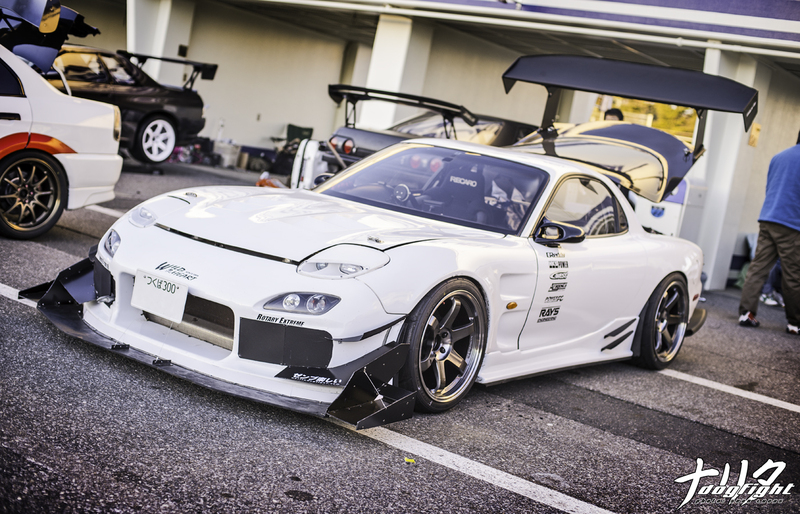 I can’t imagine how it would perform with a full aero package. No doubt there is quite the variety in the Evome series. 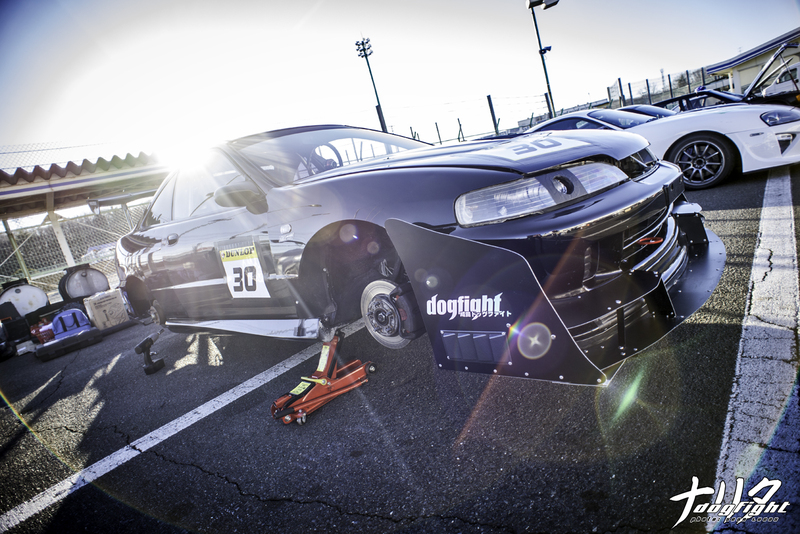 It almost pains me that there are just 3 events a year – a few more if you include the growing Attack series. Compared to the amount of events we have in the US though, it pales in comparison. Granted, the circumstances are much different. It’s the low frequency that makes these events that much more special though – almost coveted if you will. Speaking of coveted, I was happily surprised to be able to see this car again up close. The AutoBahn JZZ30; a car that has gone through so much transformation over the past year it’s unbelievable. 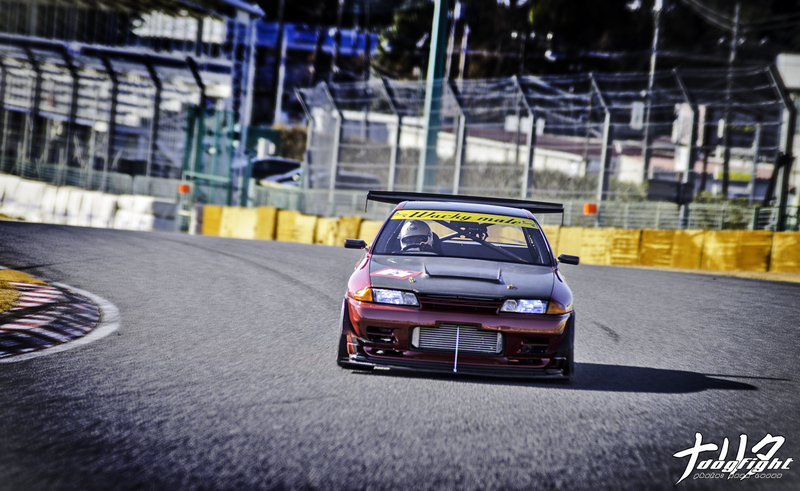 Now, cloaked in a carbon fiber body, the Soarer can easily run TC2000 in the mid 56 second range. 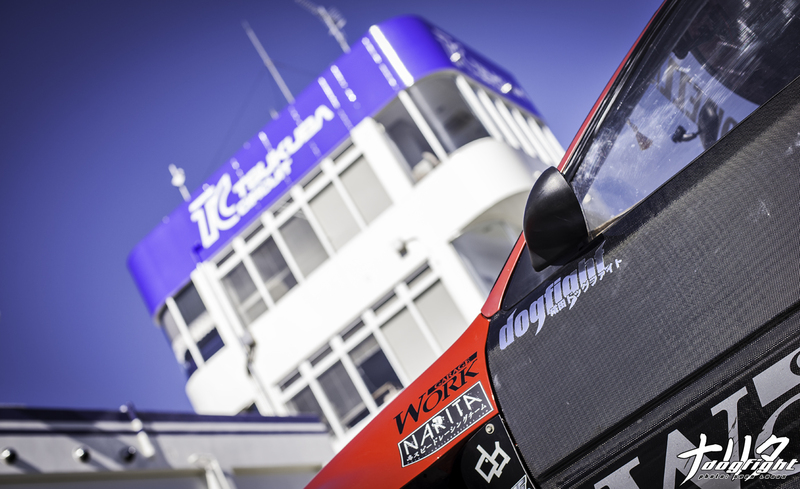 Unfortunately, the car had issues throughout the day and as a result, wasn’t able to put down any competitive time. Wata-san on the other hand was able to put down a personal best of 1’00.388, despite having quite a large off mid event. I know all too well the time it takes to get back the confidence you had before going off course, and he did a good job of recovering the rest of the morning. Must be the Yuta dog he has on the gas door of the FD. Luckily nothing was damaged when he did so. 偽こつてぃ～! First time out at TC2000 in the Work DC2 yielded a 1’02.816 – not bad! I haven’t seen a DC2 from Work in a few years. Their previous customer who had one got caught up in Shaken and, as far as I know, ended up scrapping it. Like Kubo, he is running an 18/16 stagger as well. 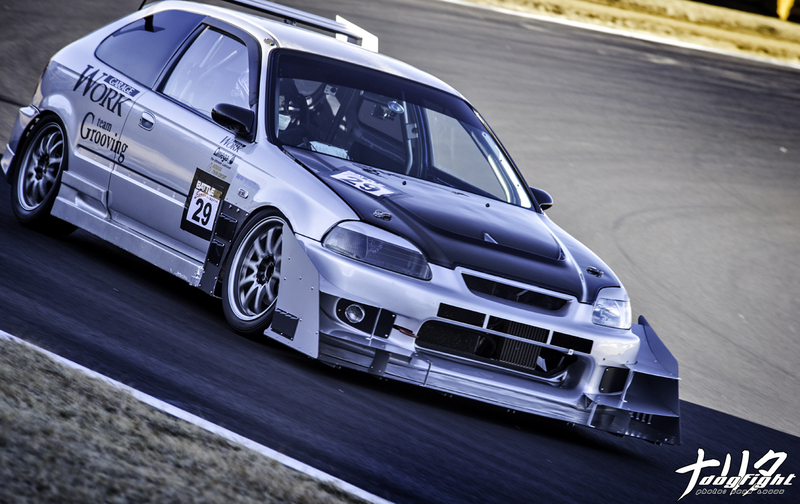 Also from the Work camp, Makoto was out in full force in the silver EK4, running in the Evome1 class. 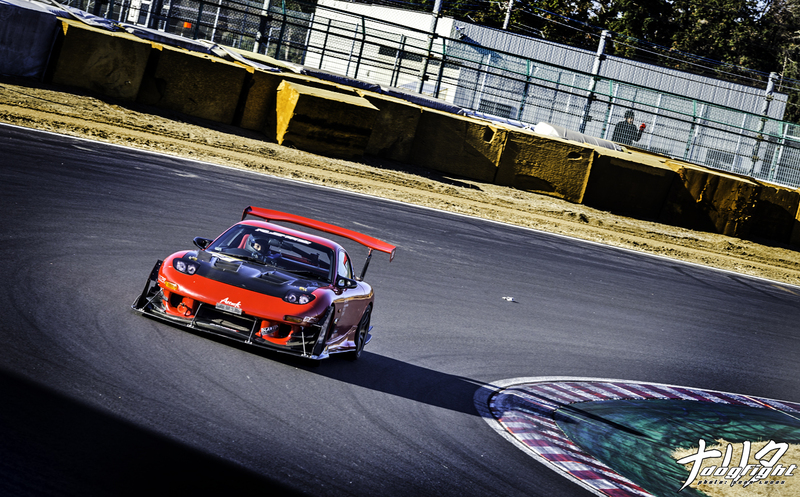 His third time out at Tsukuba yielded him a 1’02.578 – slowly getting faster and faster! This E30 M3 was quite a surprise! 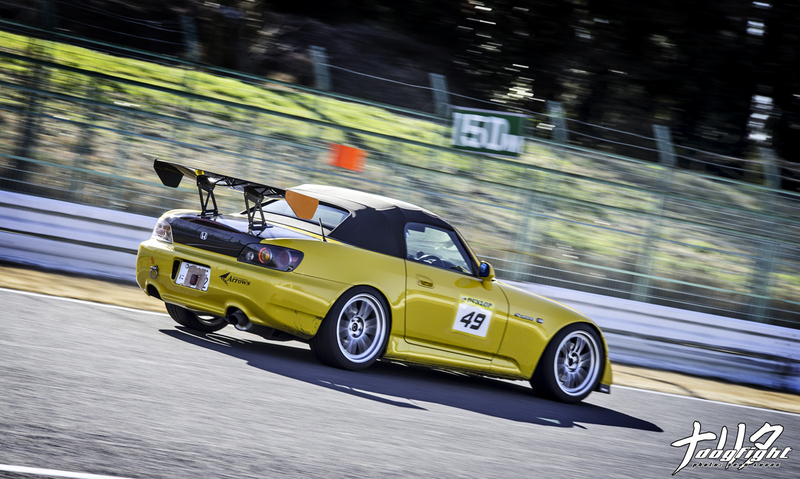 Competing in the Grooving class, Yoshihara Shogo piloted his BMW to an impressive 1’01.626 around the course. This thing was nothing short of amazing. I’ll get a closer look at it posted soon. 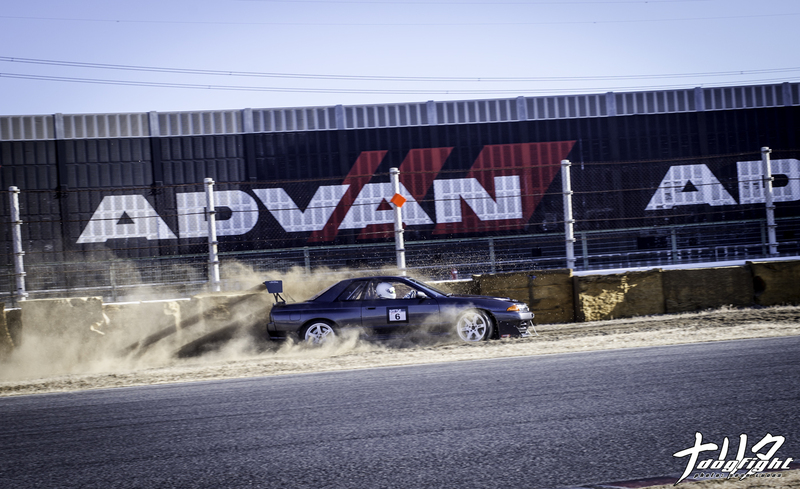 It wouldn’t be a track day without a couple mistakes though. Hiroshi-san came in a little too hot off the front straight, missed his braking point, and sent the AGY R32 off into the rocks. All was well though, and he went on to claim a 57.938 as his fastest of the day. It was great to see Nakajima-san back on circuit again. 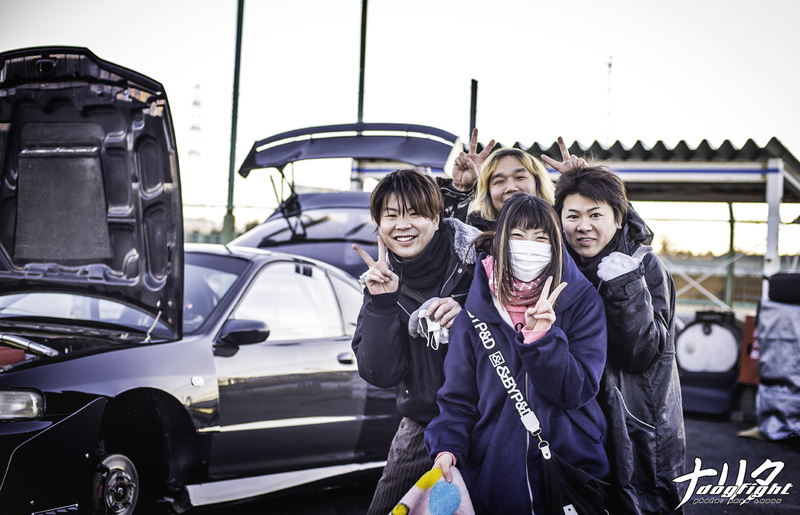 I last talked to him in November when he came out to Umihotaru for the Winter Cafe. 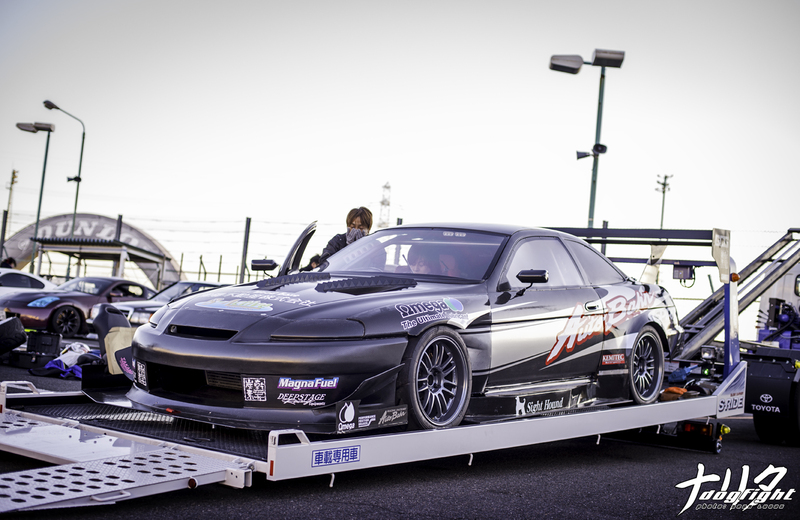 He was able to wrestle a sub-minute 59.7 lap time from his Deep Grip FD. 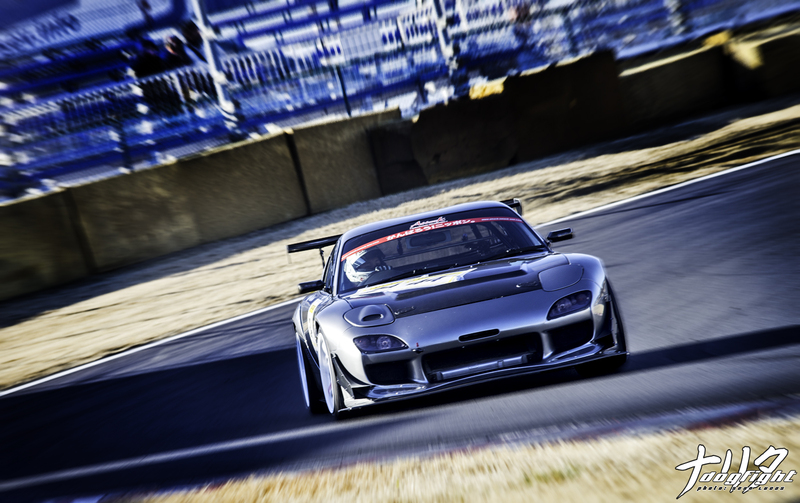 This car looks great on circuit – can’t wait to show you a few more shots. 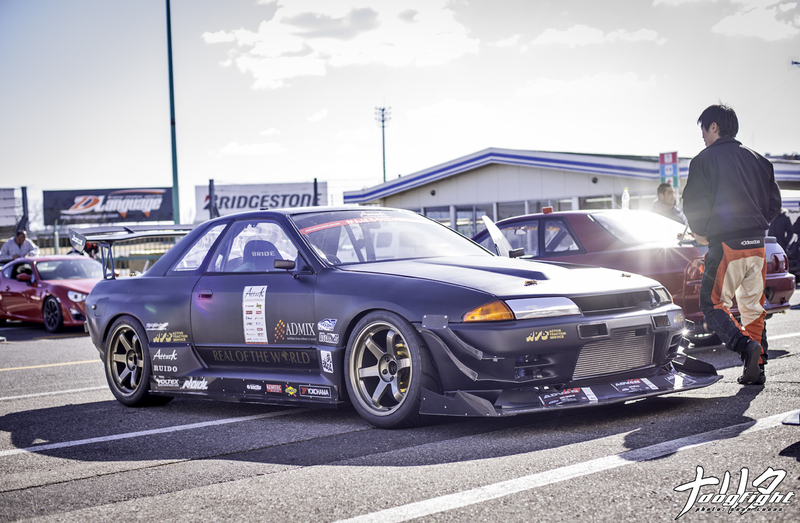 A car I’ve never seen on TC2000 before, but often see at the Skyline Owner’s Battle events at Sodegaura Raceway was Kazu’s R32 sedan. Throughout the day it looked like he was really fighting the car’s urge to oversteer – especially through the first hairpin. Of course it’s always comforting to see the familiar faces; the veterans of Evome. 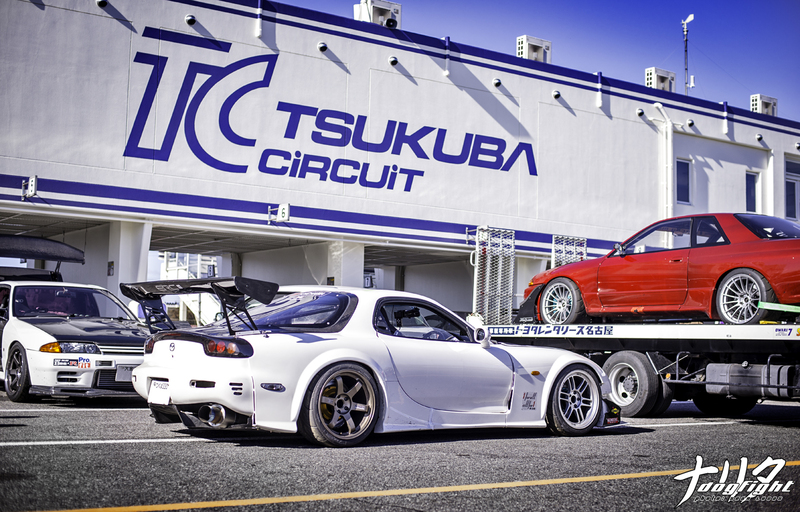 The Tatsukuro’s FD and Seyama’s GTR are no strangers to Tsukuba. Speaking of familiar faces, it was awesome to see Toshio “Tommy” Tomizawa again. He’s always been a big supporter of NDF, and I’m excited to head out to Ibaragi with Seki this weekend to meet up with him. The Wood Village S30 was alive and well early in the morning, but fell victim to engine trouble and had to retire early. Hopefully it bounces back next event – looks to have some new aero as well. 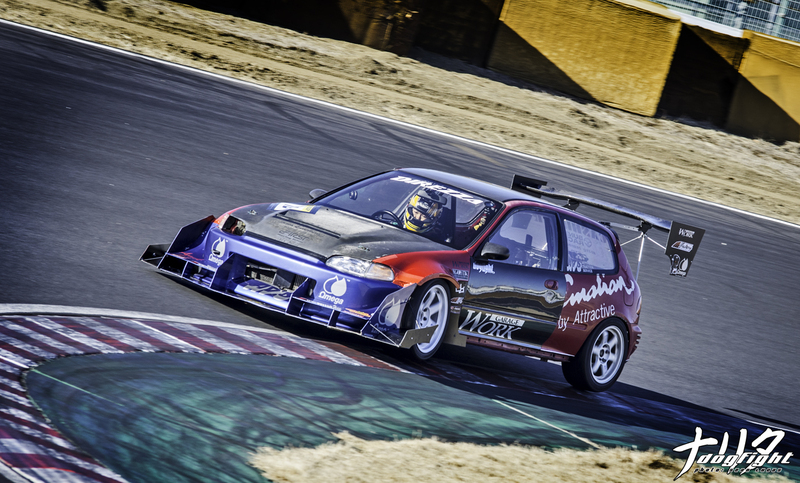 The Grooving element really did add some flavor to the day, as the more ‘reasonable’ cars took to the track. It’s a variety that we under appreciate sometimes. The vast majority of enthusiasts are driving machines like this – they’re not shop owners or fabricators. They’re out there to enjoy the thrill of racing. It was nice getting to capture that side of things for once. At the end of the day though, it doesn’t matter what you drive. 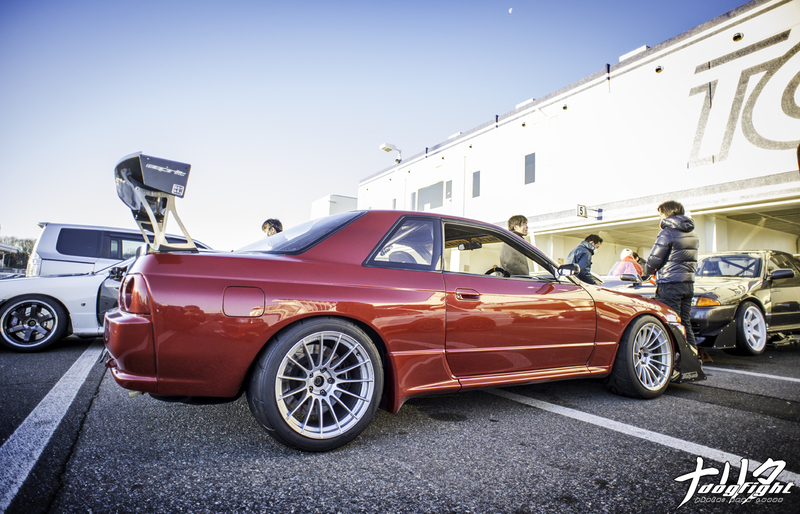 The joy of time attack appeals to anyone who enjoys driving, and the people who realize that can appreciate it on an entirely different level. 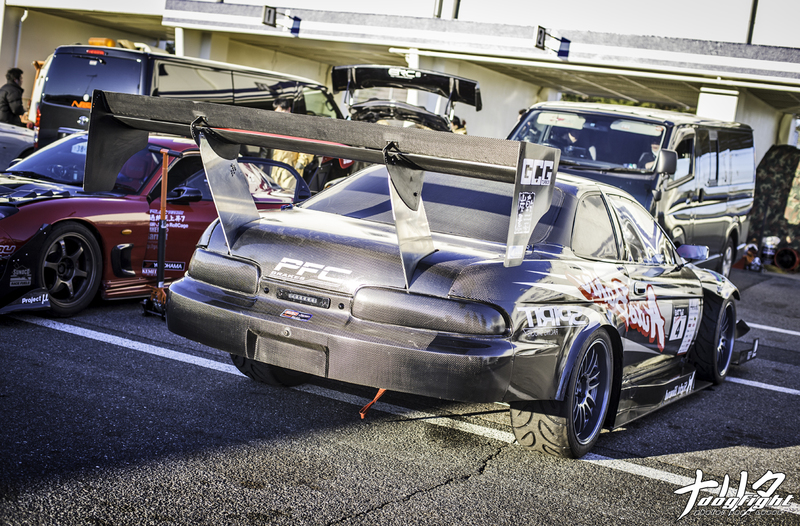 Regardless of chassis, modifications, and power, each competitor has something to bring to the table. The ability to bring together such a diverse group of people is truly something to respect, and I hold the organizers of Battle Evome in high regard because of it. They’re not in it for money or fame, they do it for the love of racing. 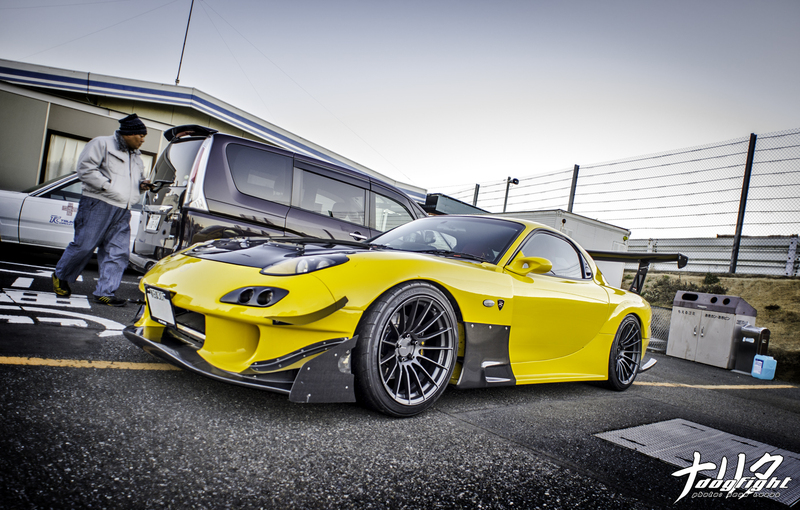 We’ll be back soon with a close look at some of the drivers and cars of Evome. For now though, I’m off to Japan once again to shoot HKS Day at Fuji Speedway, and then headed to Texas for work right after. I’ll be overwhelmed with content when I get back and I’m sure I’ll be very busy getting it out to you guys, but again it may come slow – for that I apologize! Thanks for being patient and supporting the site, it means a lot. I’ve been reading this blog for a few months now, always such high quality content. Thanks for this, keep up the awesome work! Awesome coverage dude, thanks for sharing. Awesome! 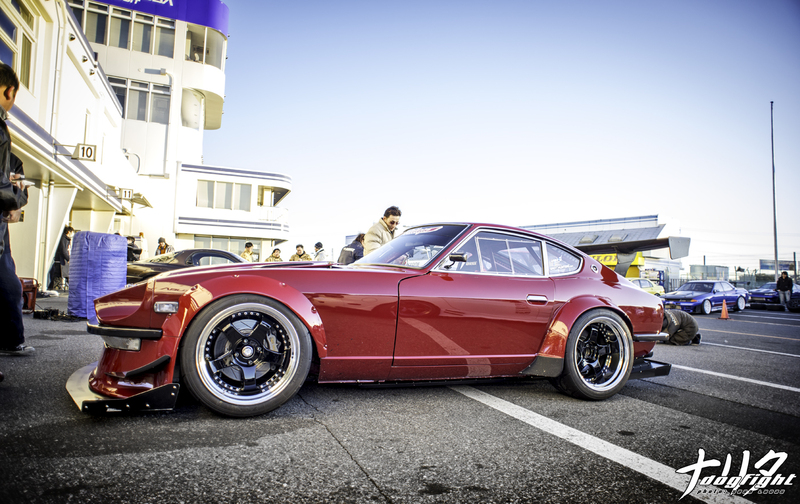 ^^ Great Pics, great cars. Nice Event. Wish i could be there on my own.